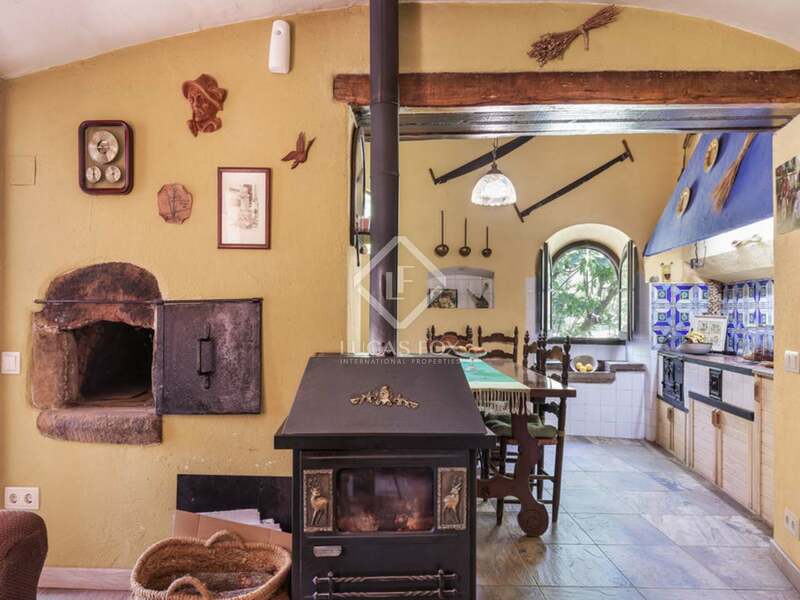 18th century mill house next to a beautiful river with flat fields which are ideal for horses. 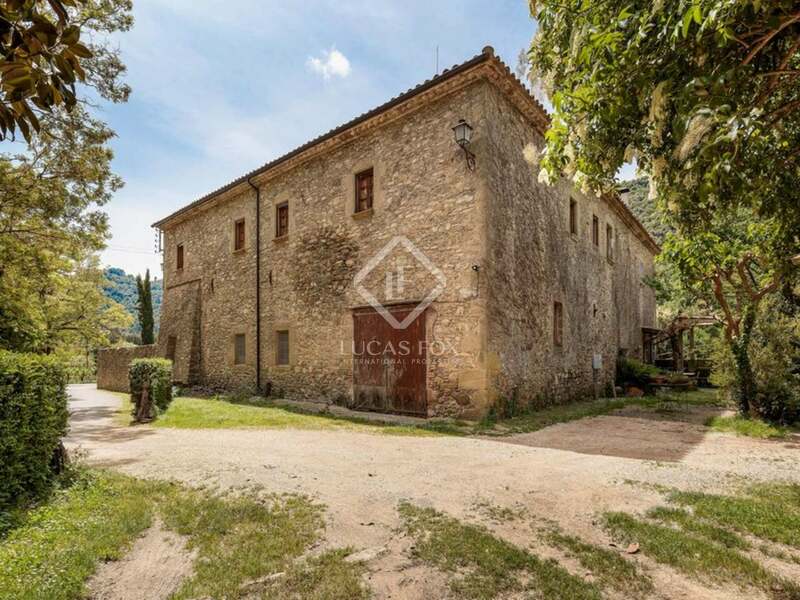 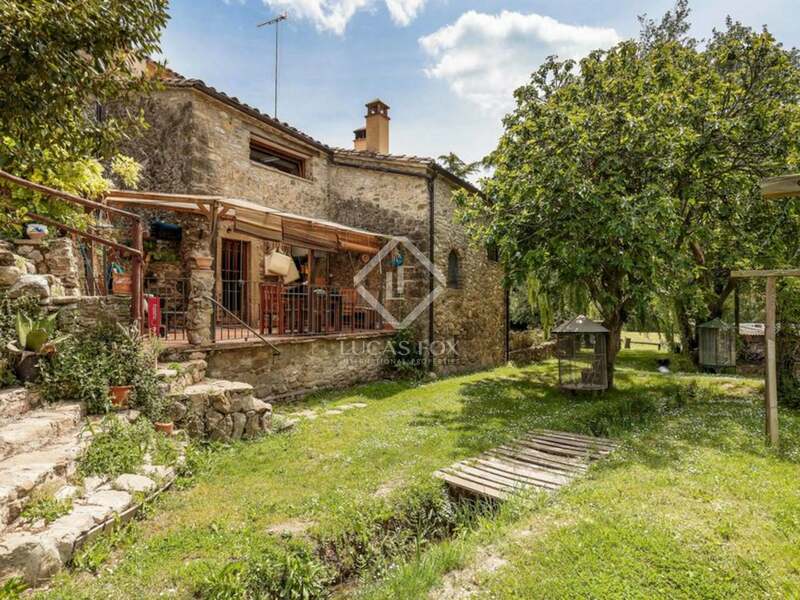 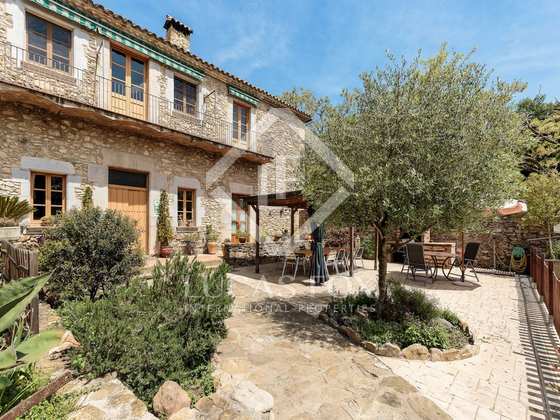 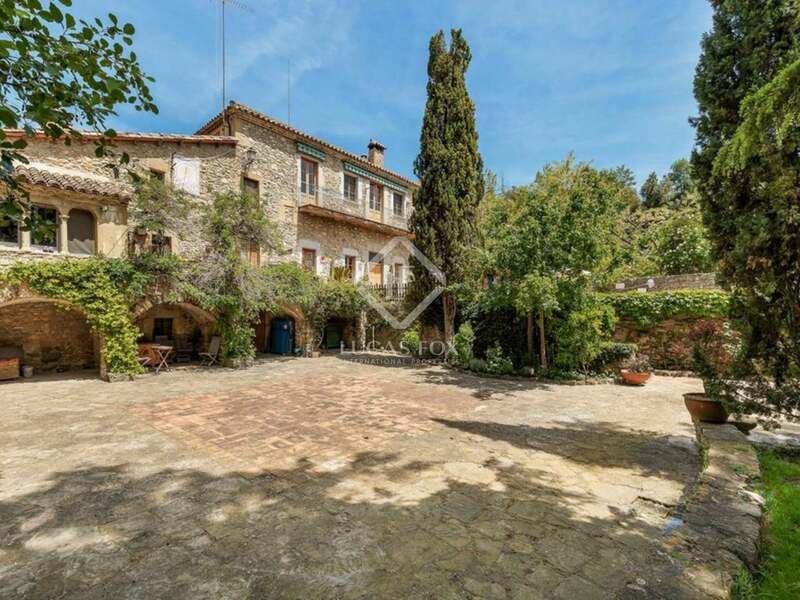 The property is on the edge of a small village in a very tranquil area in La Garrotxa, just a 25-minute drive from Girona and 0.5km to the nearest village which has 2 restaurants and a small shop. 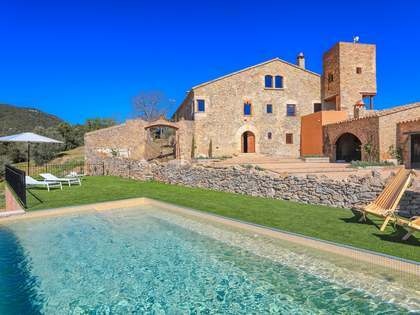 Surrounding this historic manor house is a stone walled garden with a lovely porch and outdoor dining area next to the swimming pool. 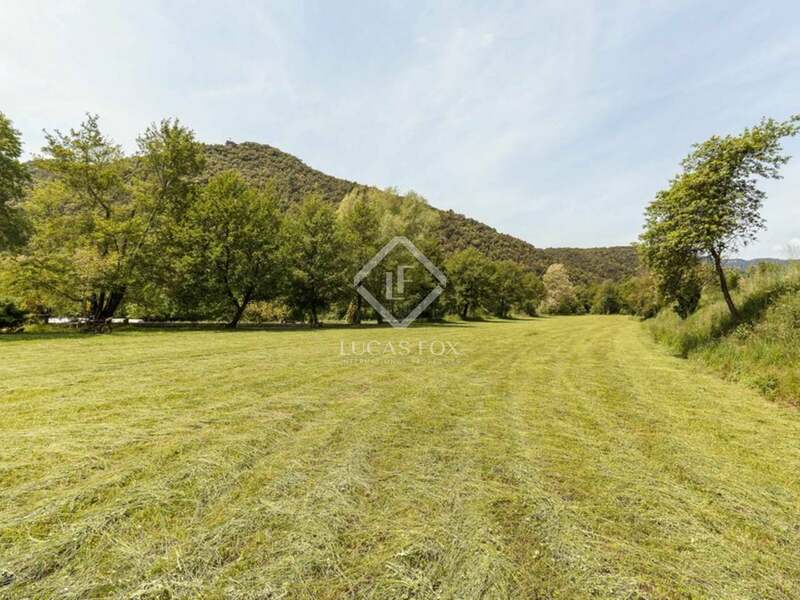 Lush flat fields bordering the river provide tranquillity and privacy with beautiful picturesque country views across the fields with mountains in the background. 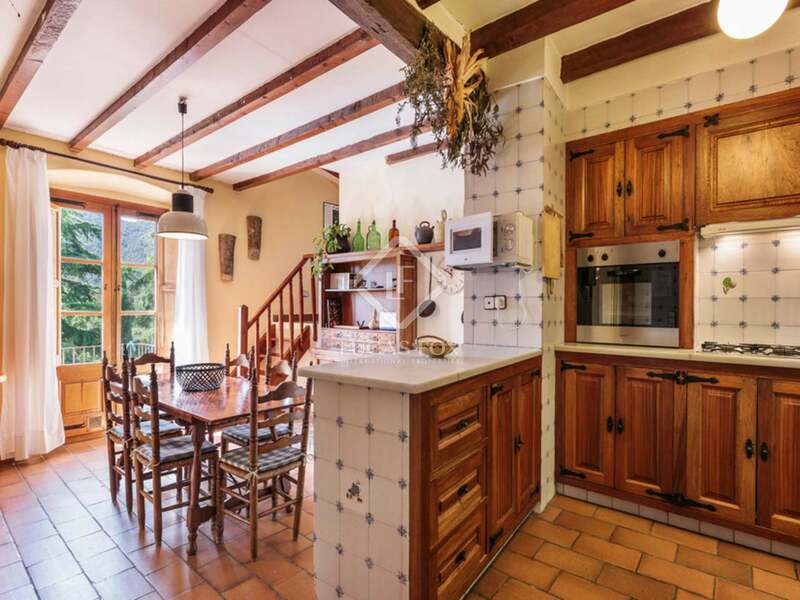 The property is divided into 3 separate homes. 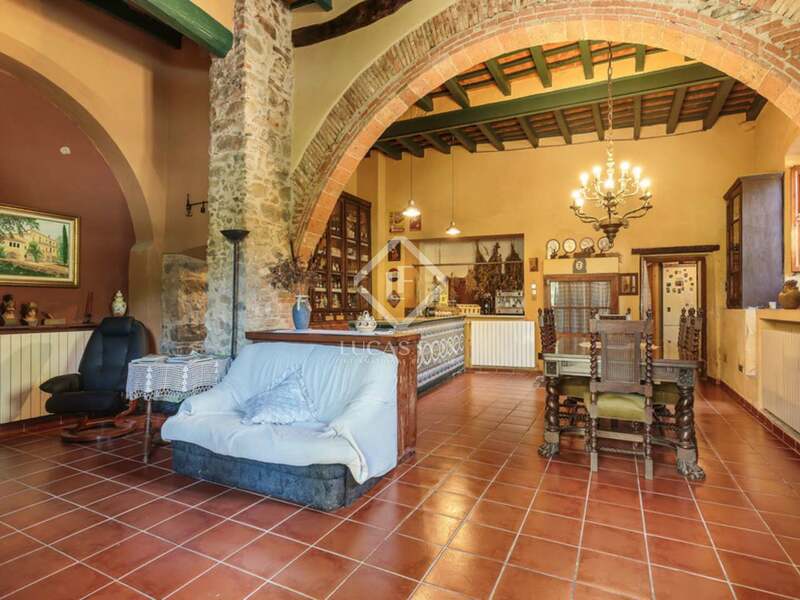 The main house is currently run as rural tourism accommodation. 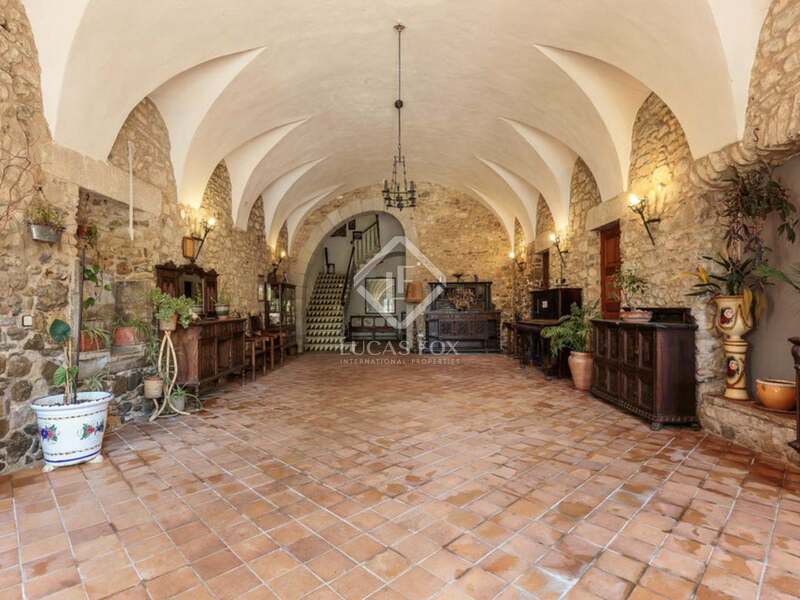 The main entrance leads into a huge impressive hall with vaulted ceilings. 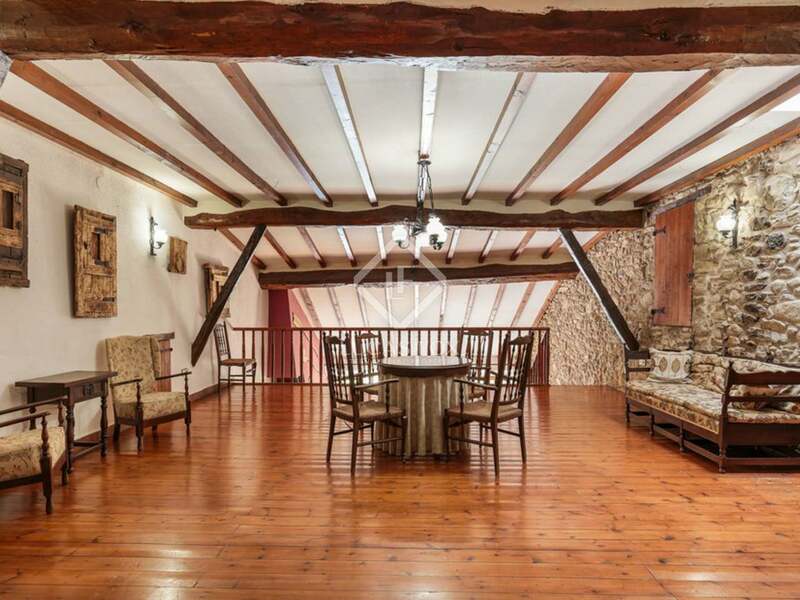 Leading off from this area there is a guest toilet and the original mill shop which has been carefully restored retaining all of the period features and currently used as a small bar area for the guests. 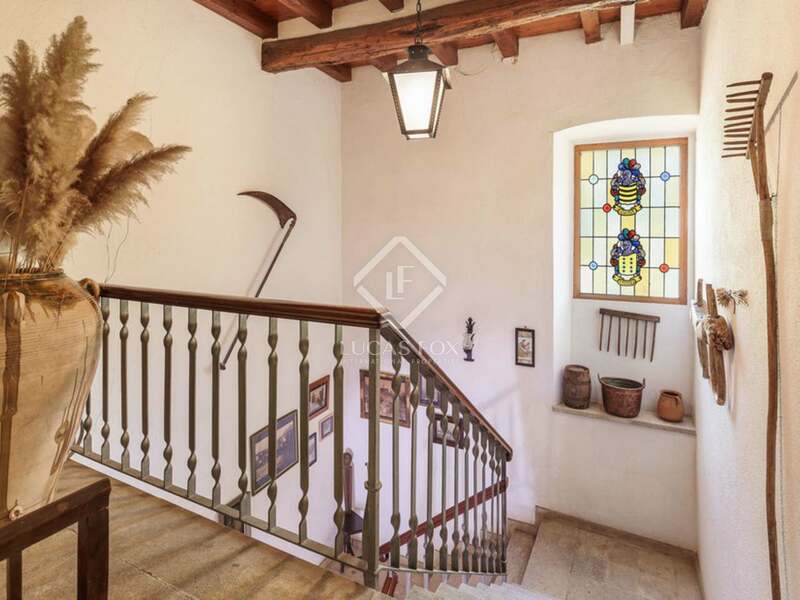 A grand staircase leads up from the main entrance hall to the 500 m² holiday accommodation which consists of an open plan living and dining room with a fireplace and big French windows leading out to a lovely balcony that looks over the pool and gardens. 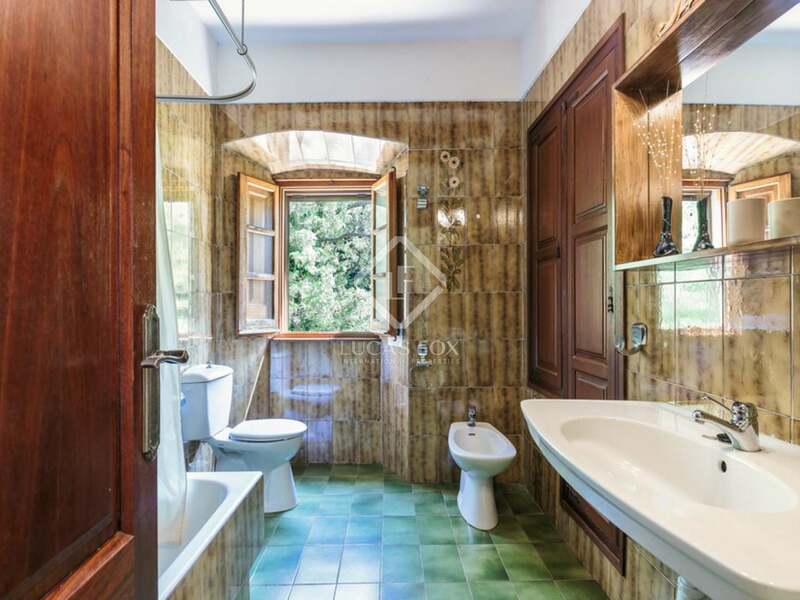 There is a separate kitchen diner, 6 double bedrooms, 2 which are en suite and the remaining 4 bedrooms share a large bathroom. 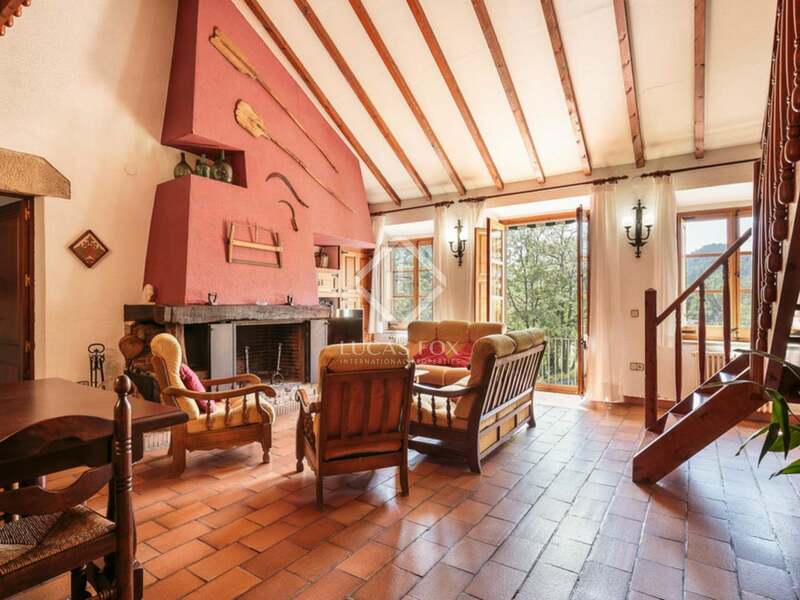 There is also a mezzanine on the third floor which overlooks the open plan sitting room and diner, currently used as a reading/play area. 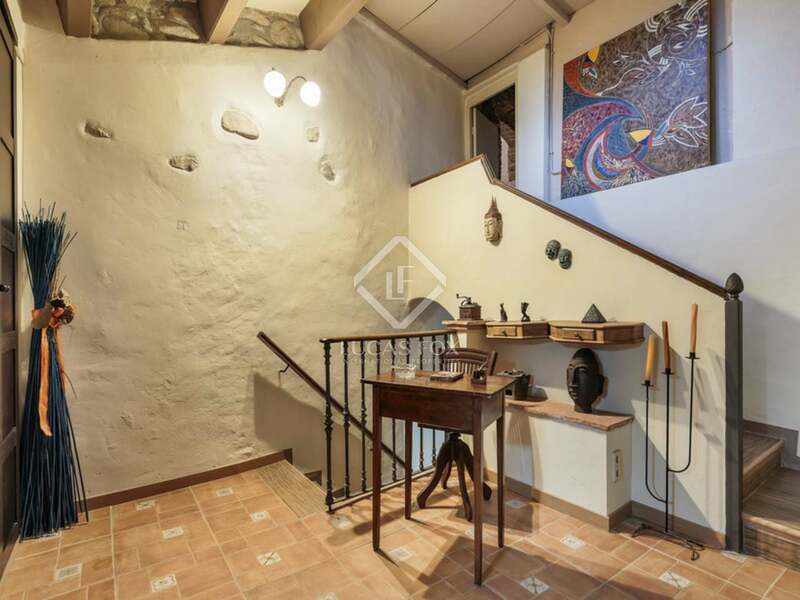 To the left of the main entrance, up a flight of stone stairs, we find the entrance to the separate house where the owners currently live. 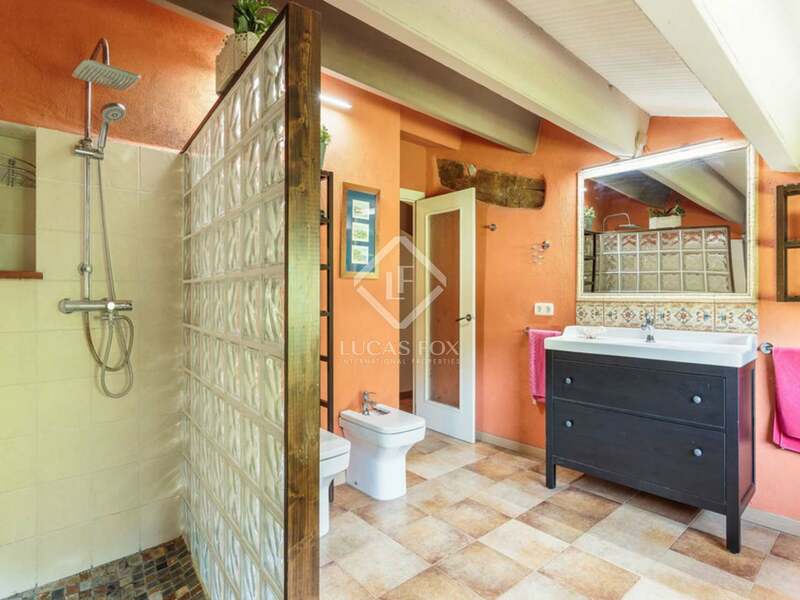 This house offers a kitchen, aliving room - dining room, office, bedroom and bathroom on the ground floor, 2 further bedrooms and a large bathroom on the second floor, plus 3 bedrooms on the third floor in the eaves of the roof. 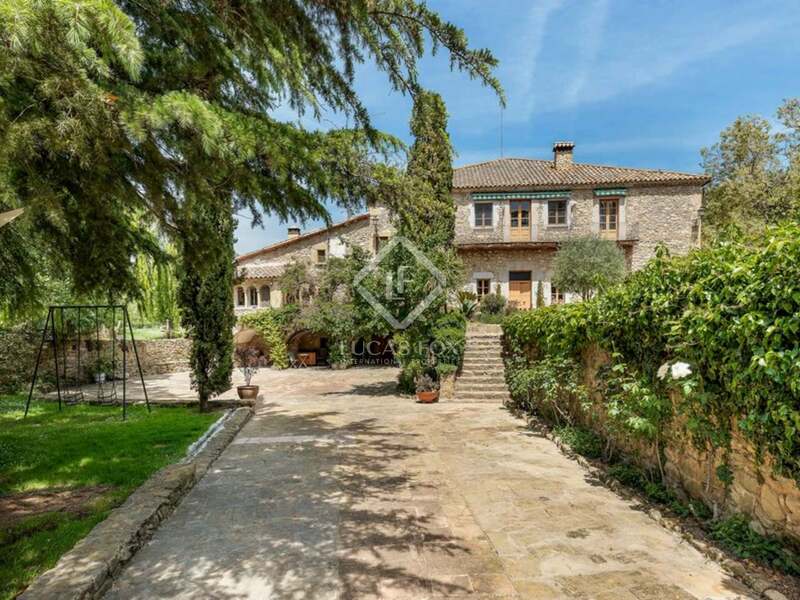 To the right of the main entrance there is the third dwelling. 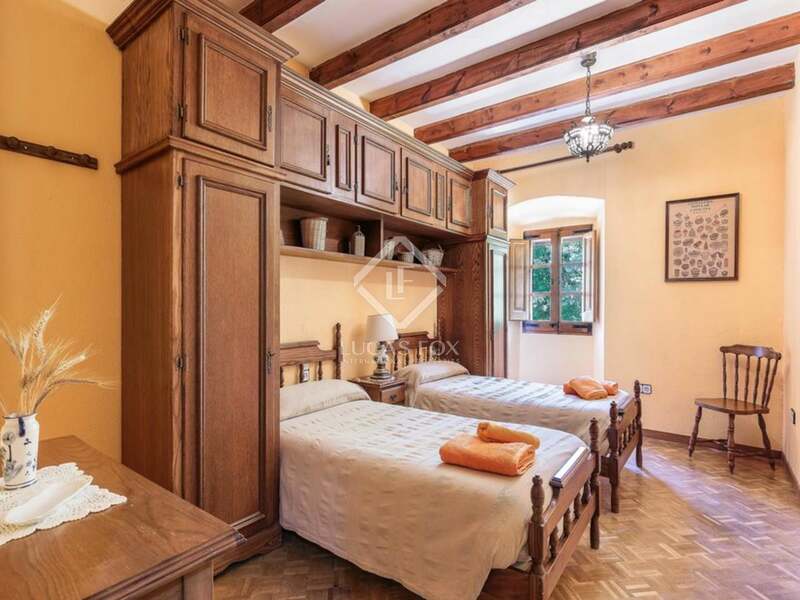 It is a self-contained apartment, which is ideal for staff or guests, with a lovely open plan living room – dining room and kitchen with a large fireplace, 2 double bedrooms and a bathroom. 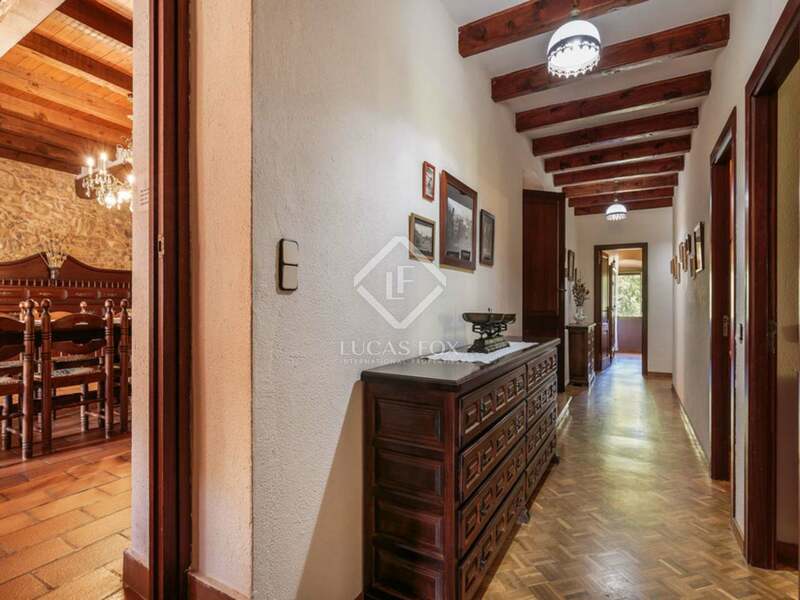 There are bolted doors from the main entrance hall which lead to the other 2 dwellings on either side of the house. 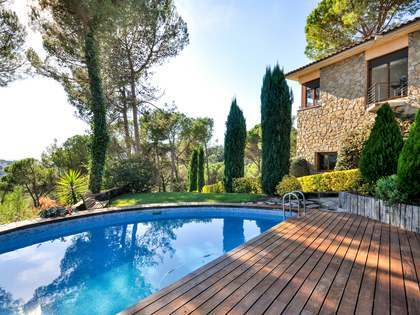 If necessary, they can be opened up to create one large home. 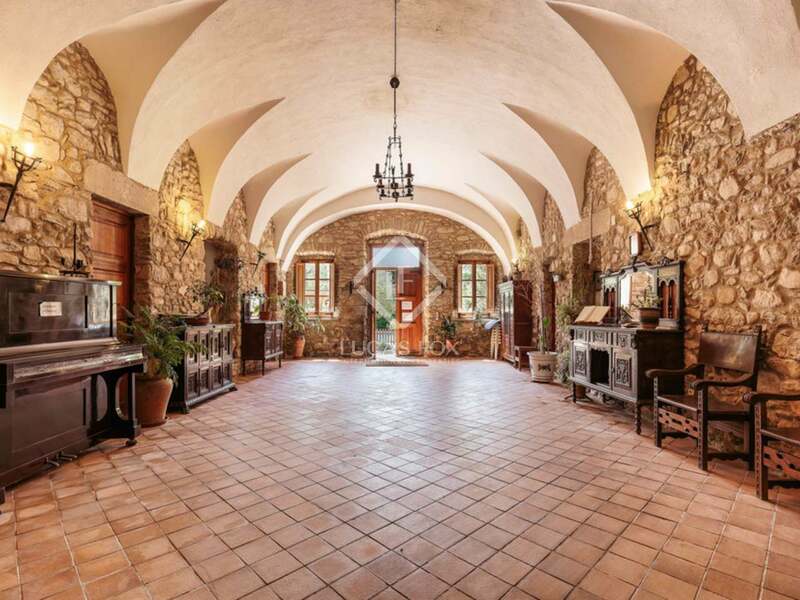 The property also has large cellars that are semi underground and the old mill which is in its original state. 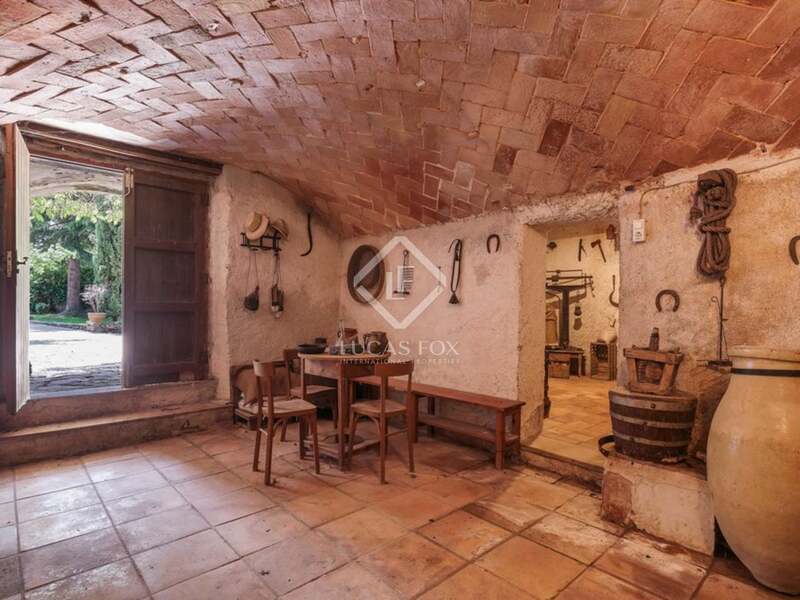 To the back of the house there is also a large garage that was once used as stables. 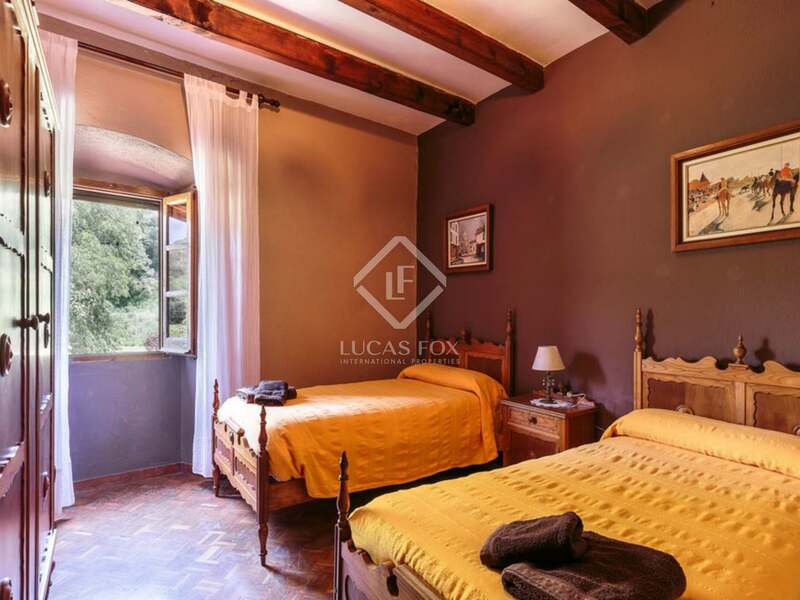 Ideal for a family-run hotel business in an idyllic country setting. 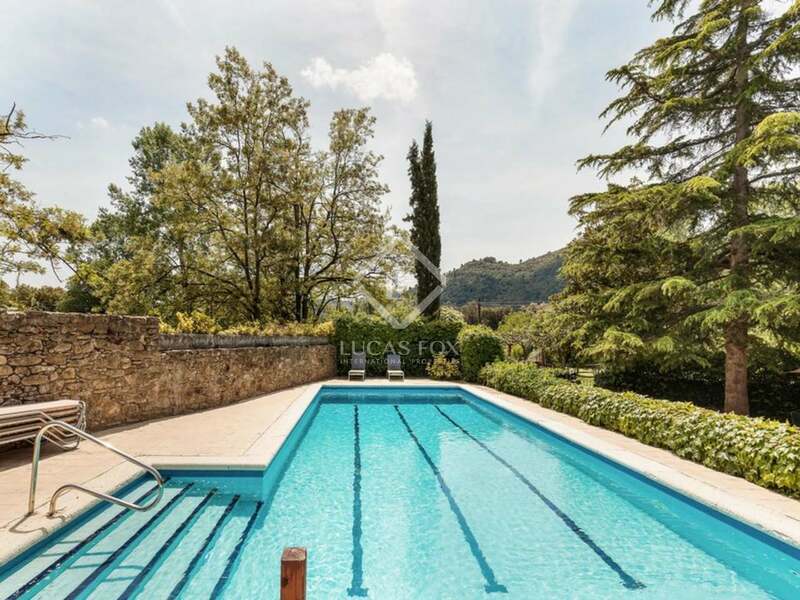 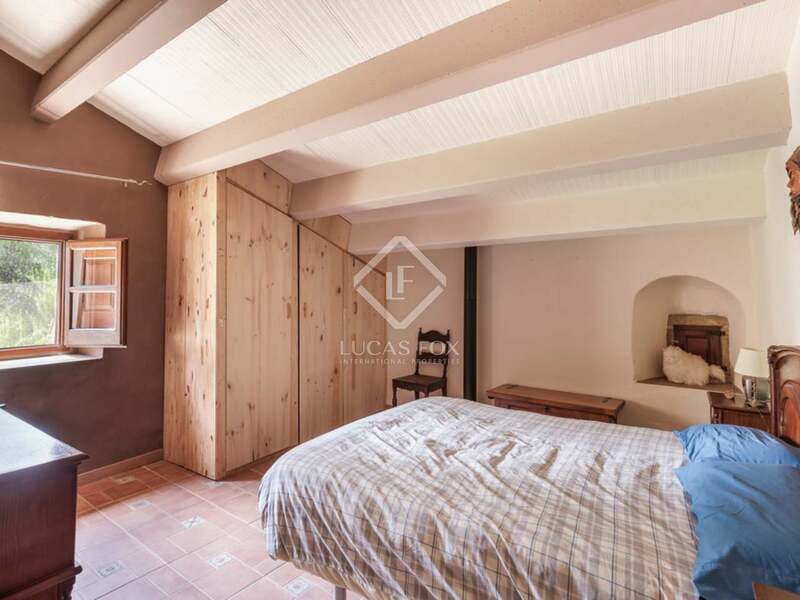 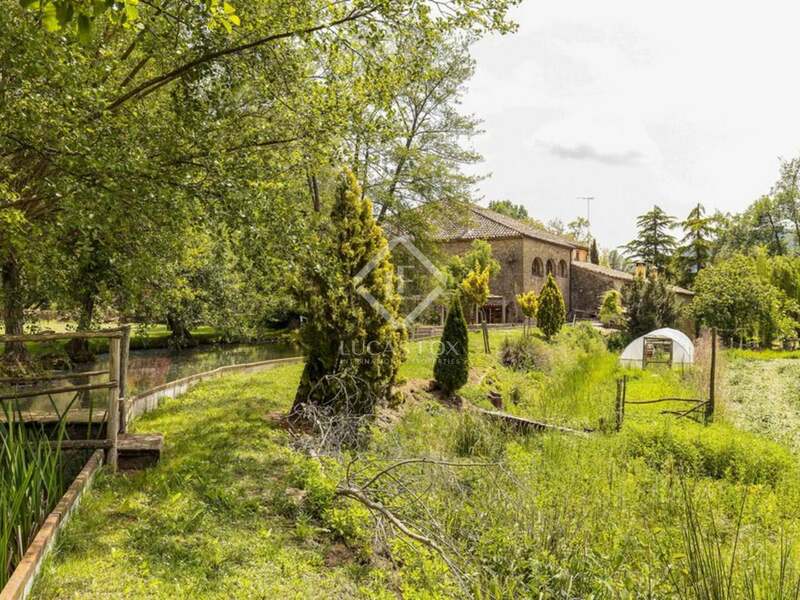 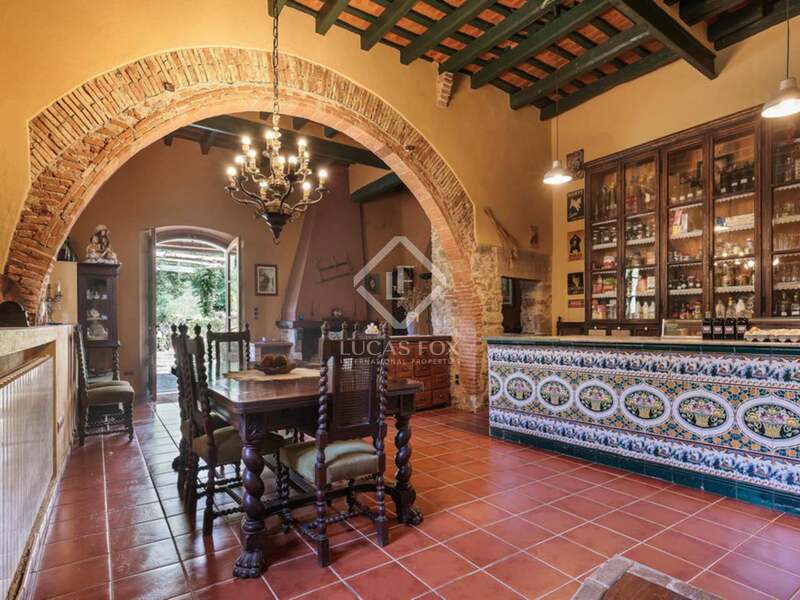 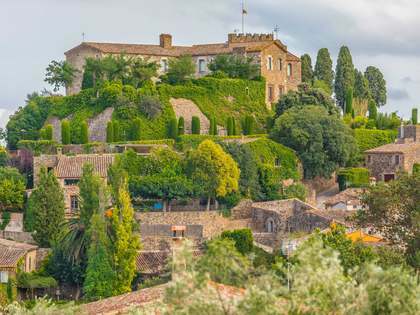 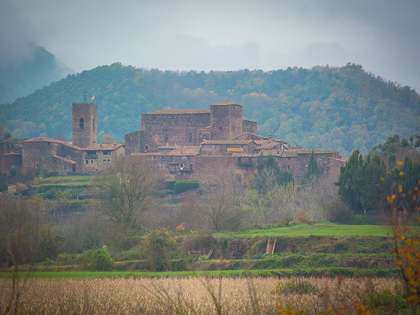 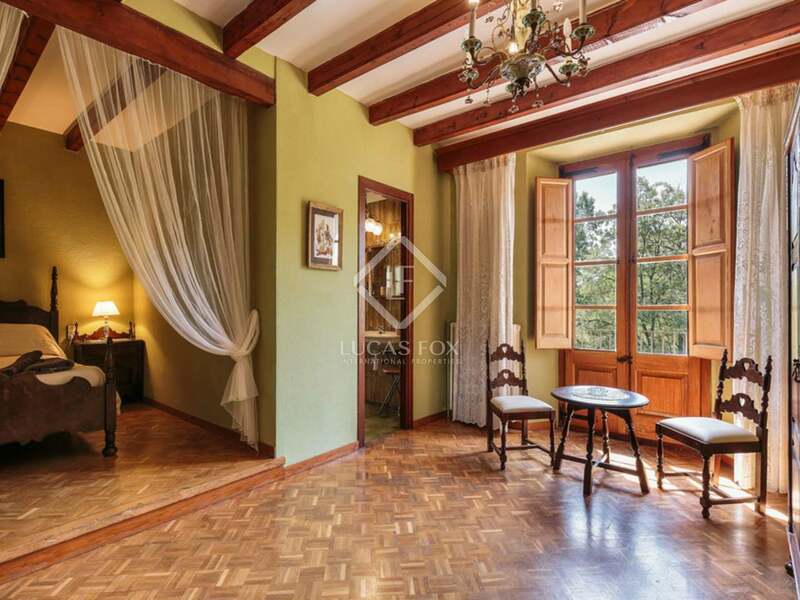 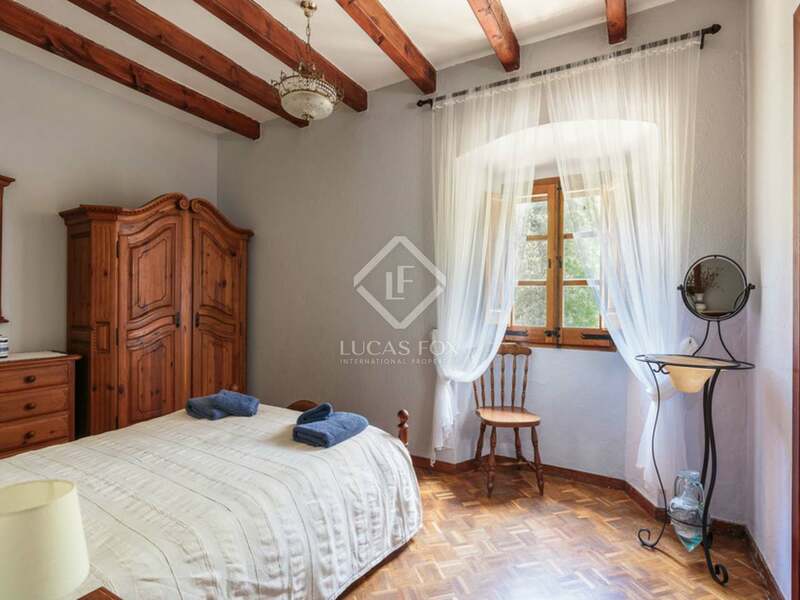 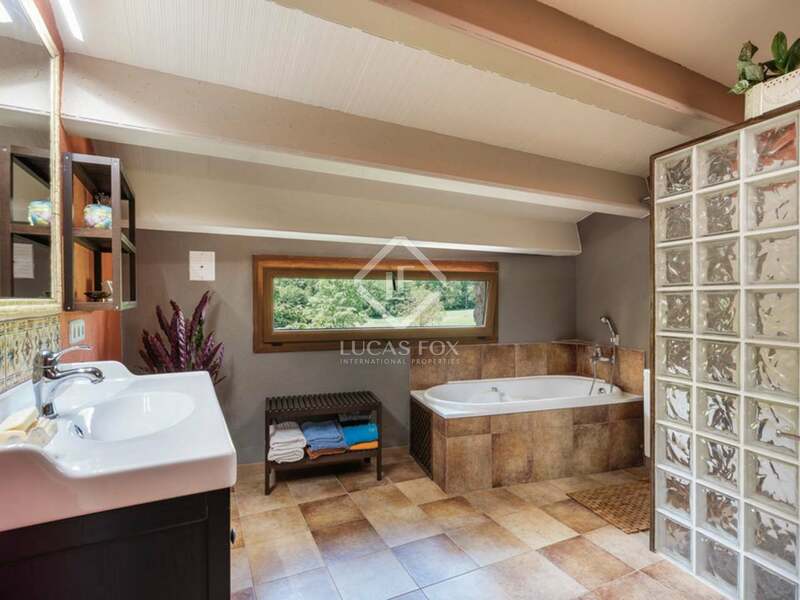 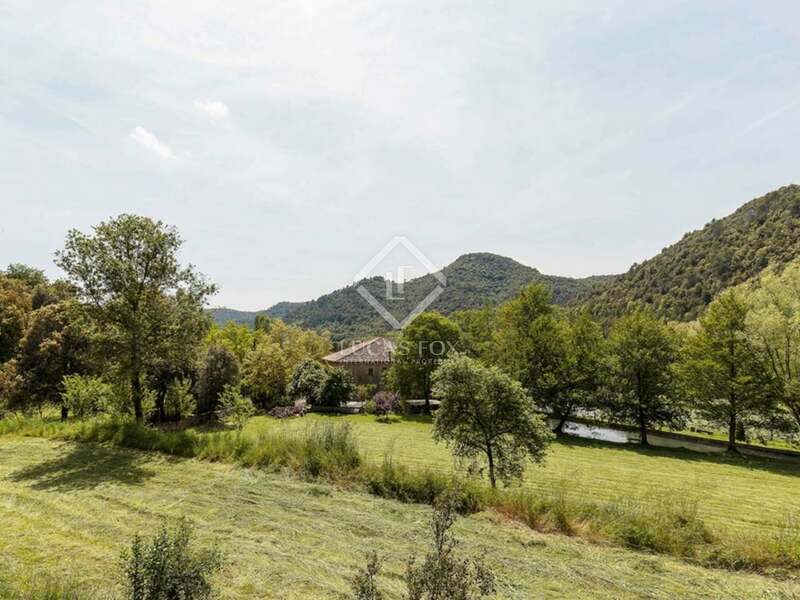 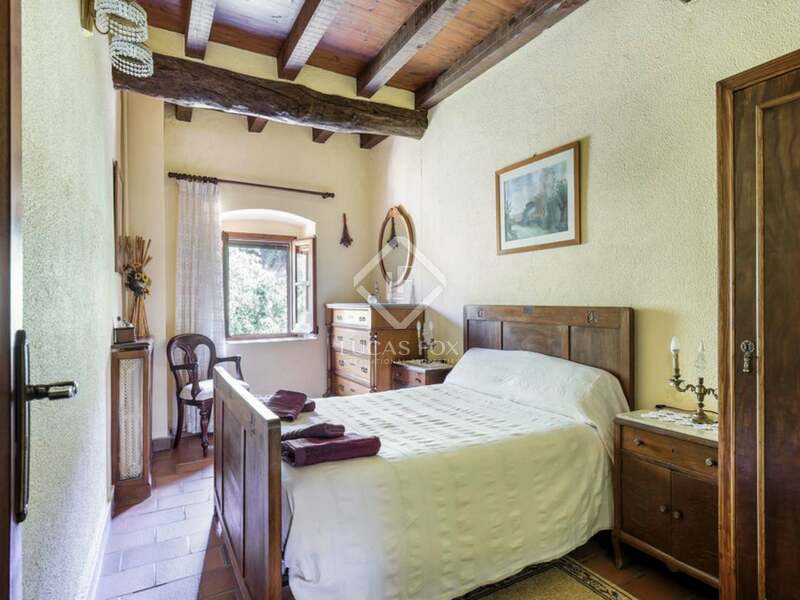 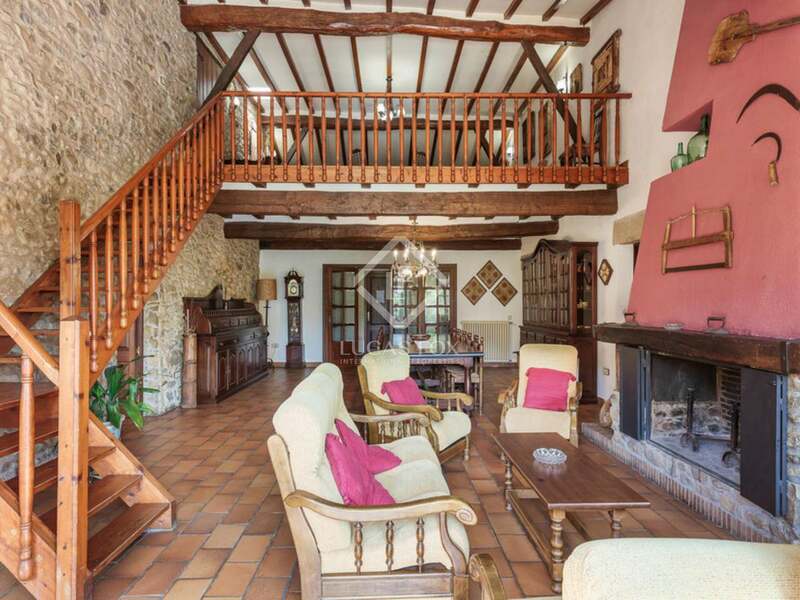 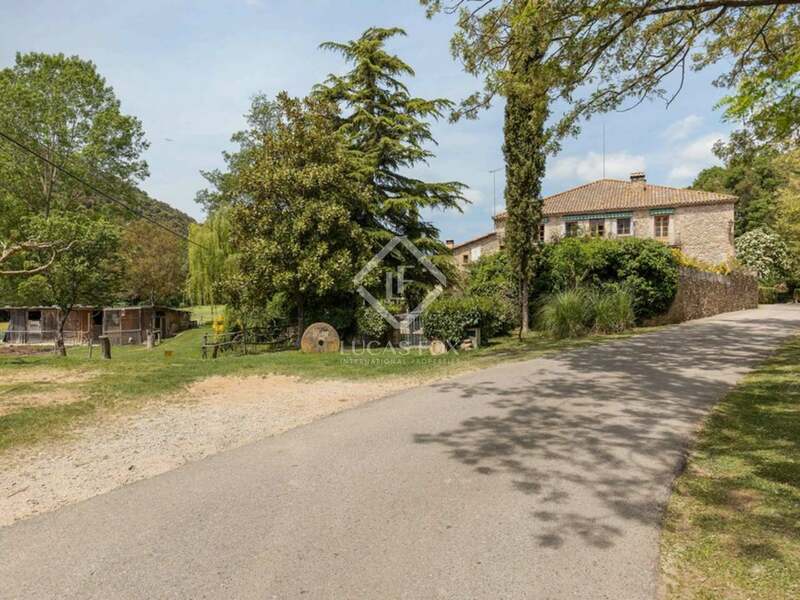 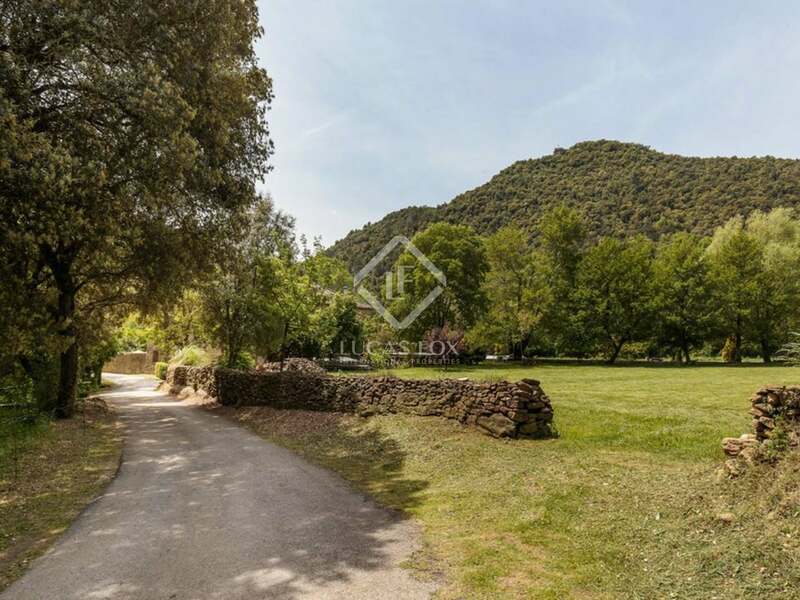 The property is on the edge of a small village in a very tranquil area in La Garrotxa.